Visit the PAS website for more information about its activities. The Plymouth Astronomical Society (PAS) meets every month at the University of Plymouth. Society meetings are free to members and visitors are very welcome to attend at a cost of £2 on the door. For further information, please contact David Wilton (PAS Chairman) on 01752 880618 / david.t.wilton@btinernet.com or Ken Facey (PAS Membership Secretary) on 07818 877248 / ken.facey@gmail.com. All meetings are held in the Babbage Building unless otherwise stated and there is disabled access to the venue. If the ground floor door is locked, please ring 01752 588400. The HOYS-CAPS Citizen Science Project, by Dr Dirk Forebrich, Senior Lecturer in Astronomy and Astrophysics at the University of Kent at Canterbury and Principal Investigator for this project. Black Holes, by Professor David McMullan, Professor of Particle Physics, University of Plymouth. Eddington Lodge, by Hannah Davey. Eddington Lodge is a stargazing holiday complex near Bude, North Cornwall. Equipment Display and Discussion - if you want to learn how to use your telescope or are considering buying one soon, then this meeting is for you! 100 Years On – Forgotten Astronomical Events and Astronomers of WW1, by Sheila Evans. Dynamic Skies, by Will Gater. Will is a well-known astronomy journalist, author and presenter who appears on TV and radio and writes regularly for Astronomy Now, BBC Sky at Night Magazine, New Scientist, etc. Identifying Meteorite Impact Sites, by Mike Shearer. Leicester's Space Rockets, by Roger Cooper. The Beginnings of the Space Age, by Professor David Southwood, PAS Patron and currently Chair of the Steering Board for the UK Space Agency. David was President of the Royal Astronomical Society from 2012-14. 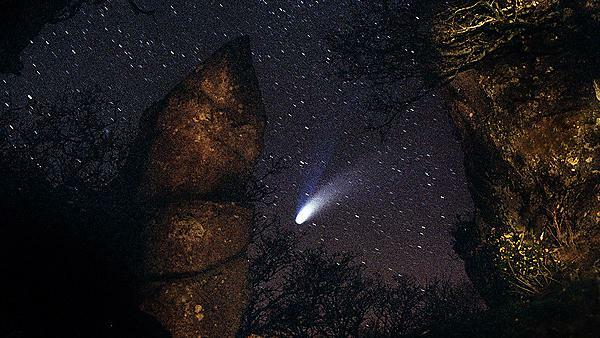 Ancient Skies and Megaliths of Cornwall, by Brian Sheen, Director of the Roseland Observatory at St Stephen, St Austell, Cornwall. Earth Satellites and Space Debris (and my small part in its downfall), by Chris Cooke. I Can See for Miles, by Lawrence Harris. Lawrence was the founder of the PAS 54 years ago in 1965!